Flying Jewels is one of Kimberly’s most exciting pieces. Yes, I love them all but this one is really, really special. We offered it as a class two years ago in the shop and now we are offering it as a cyber class! 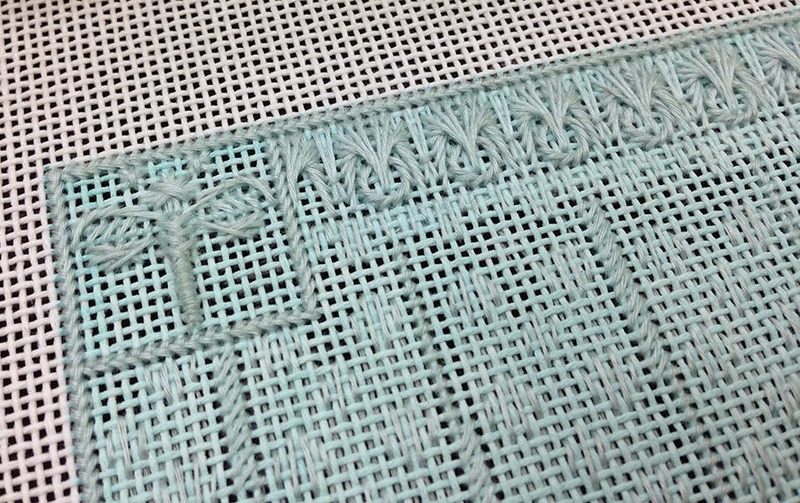 The more people who can share in the opportunity to stitch this piece and learn Kimberly’s techniques the better! 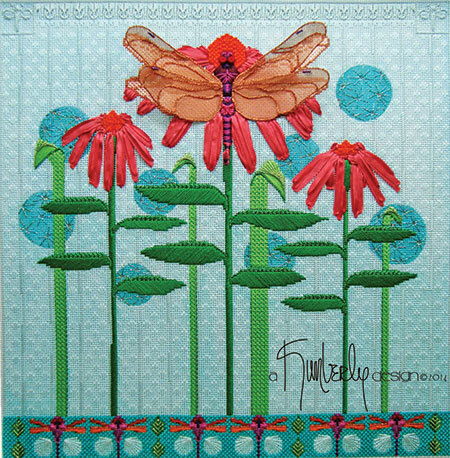 It features a wonderful counted pattern background and borders. There’s a wide variety of threads and oh! the dragonfly has copper wings! Love that! Hand painted on 18ct mono, the overall design size is 12 x 12. 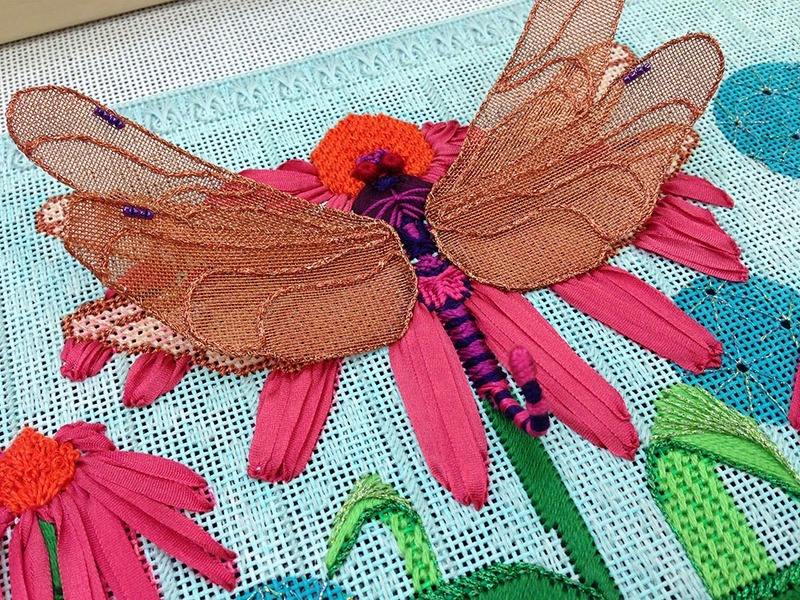 Classes will be Feb 16, March 3, March 17 and 31st from the comfort of your own stitching chair. No need to travel for this one! 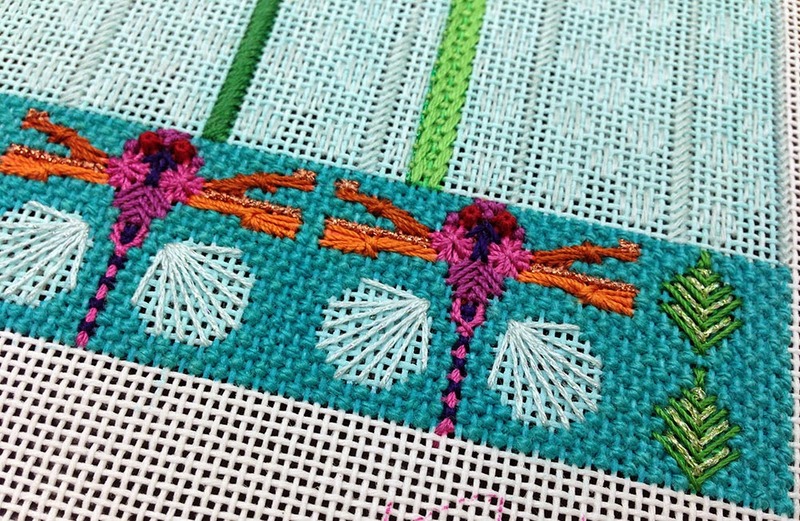 Kimberly will be hosting a virtual stitch-in throughout the day and evening on those dates. Ask questions, share your progress, enjoy the company of others. There may even be videos and prizes. You never know what we will cook up. 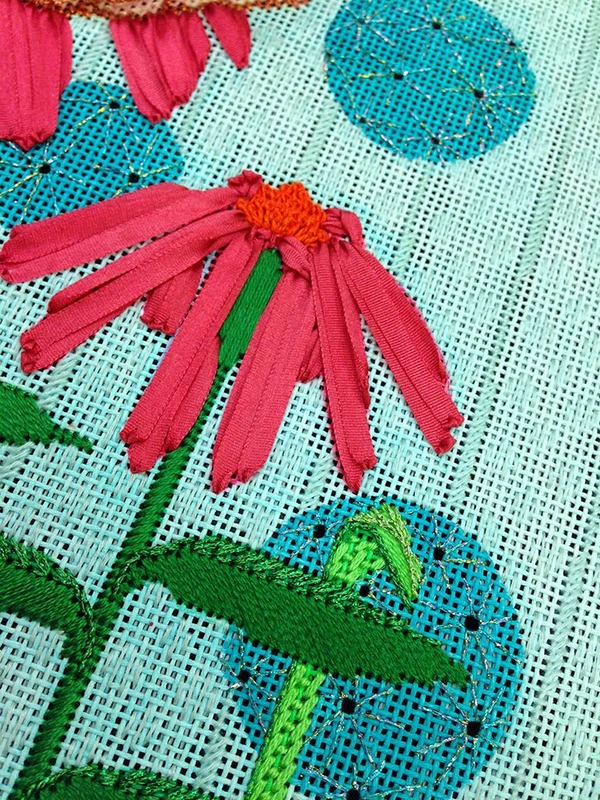 The cost of the class including canvas, stitchguide and all threads is $495.00. You will need 16 x 16 stretcher bars. 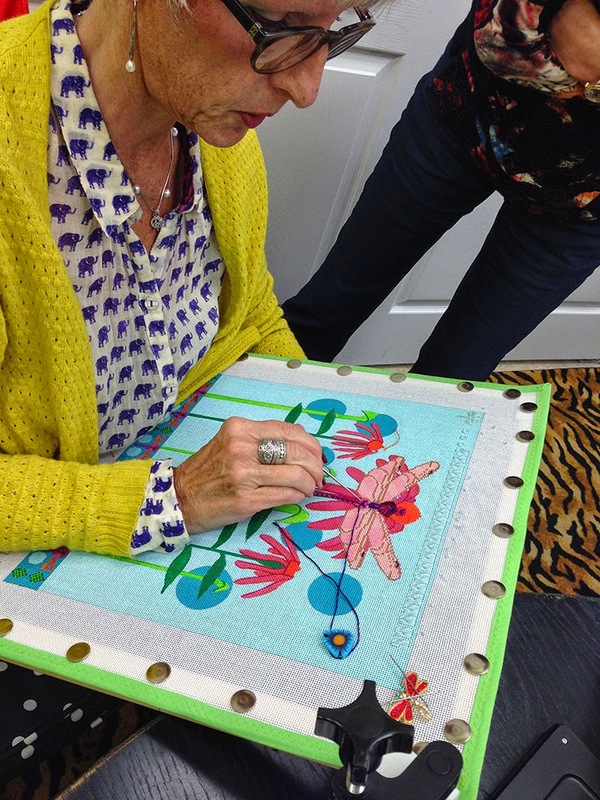 If you already own the canvas and want to join the class there is an option for that too! Give us a call at 410.296.0405 to sign up. Registration closes Christmas Eve!